 Deseo at Grand Mission offers one and two bedroom apartments in the Richmond, Katy, Cinco Ranch area. Our apartments are right off the Westpark Tollway, giving you easy access to downtown Houston. Enjoy taking a walk outside at George Bush park. We are just across the street from the County Line Bar & Grill if you need a quick bite to eat, or you can drive a couple minutes away to get some hot wings at Buffalo Wild Wings. To name a few of the other nearby options for food Sushi Hana, Whataburger, and Chick-fil-A are just a ten minute drive away. For some excellent shopping nearby take a quick drive to LaCenterra at Cinco Ranch or Katy Mills Mall in Katy. Our apartments in Richmond Texas are in a great location to call home. Schedule a tour or apply online!